Are you an event organizer looking for ways to express your gratitude to the event speaker and/or its attendees? Or are you a company human resource specialist looking for ways to increase employee engagement? The solution to both these problems is simple—use a certificate of appreciation. 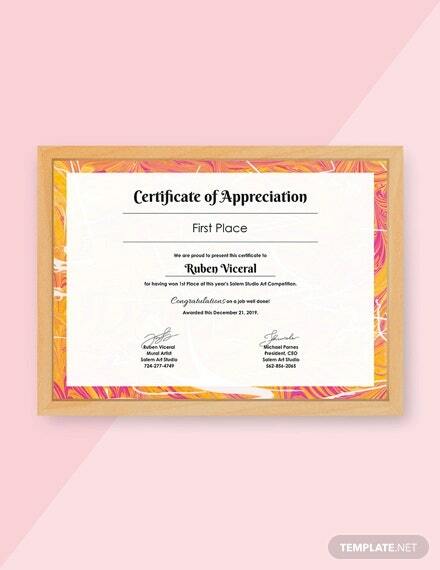 This short write-up focuses on how you can create such a certificate for your event or company. 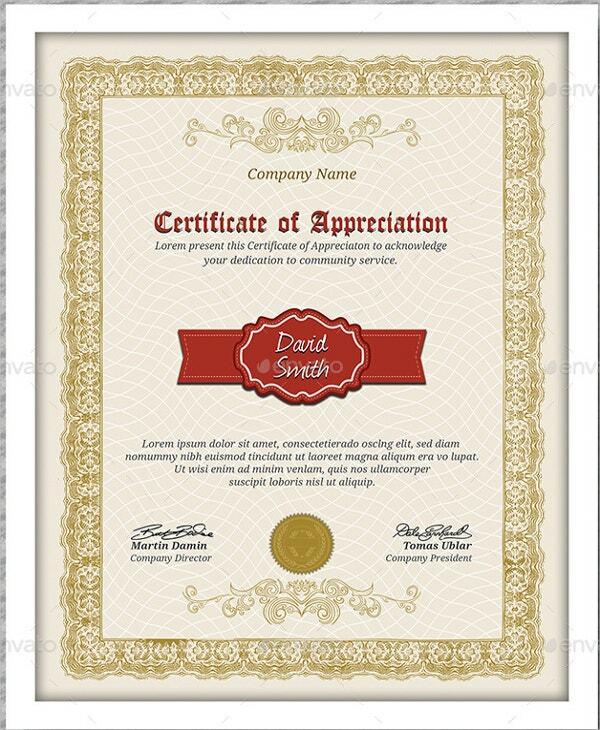 We also provide a comprehensive guide on how anyone may create their own certificate of appreciation easily and quickly. You may also see Certificate Templates. 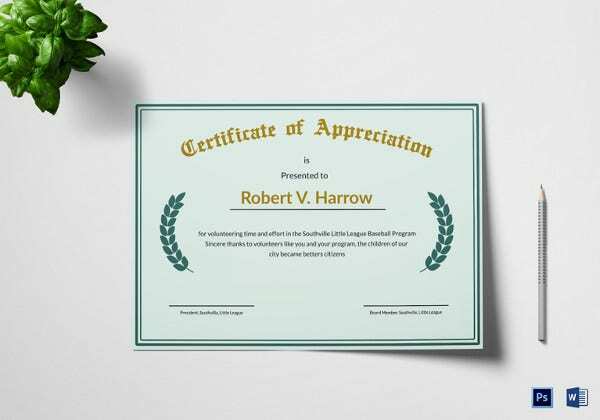 A good way to punctuate professional events like conventions, conferences, and seminars is by giving out certificates of appreciation to attendees and/or the different speakers who graced the event. 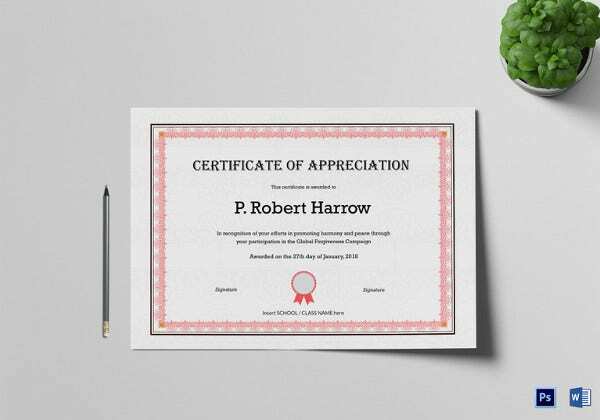 In some cases, certificates of appreciation may also be considered as a form of an appreciation award for doing something remarkably or competently. These certificates become more formalized when a government institution or a well-known organization gives them. 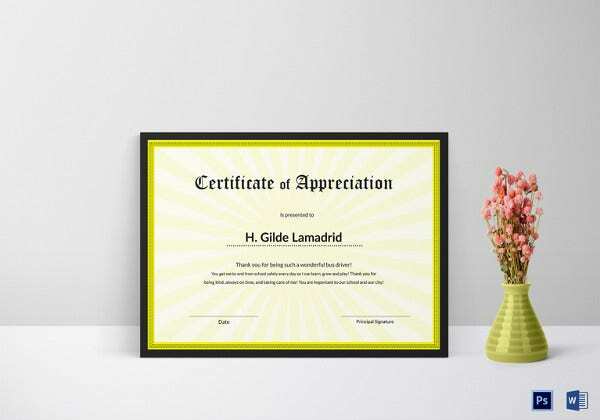 A certificate of appreciation is a document (usually printed on fancy paper) that acknowledges a person or company’s contribution to a cause, event, or group of people. 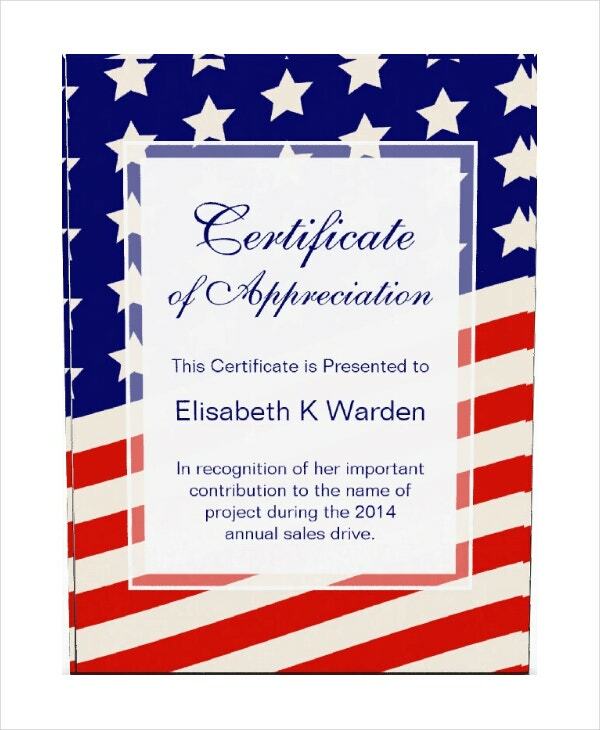 It is usually given to individuals as a token of gratitude and it is generally considered an honor to receive one. 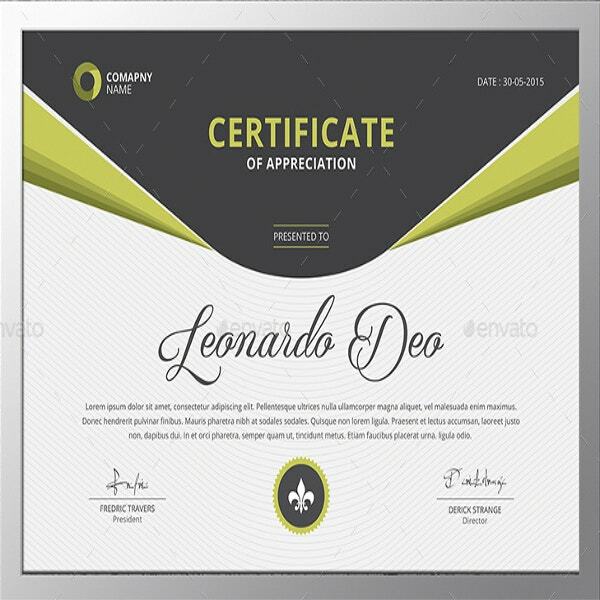 Embedded below are 20 examples of certificates of appreciation for any occasion. Browse through them and bookmark the ones you think will match your company or the event that you are organizing. 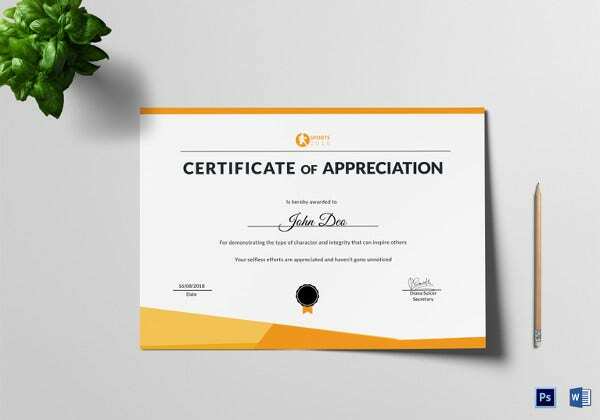 Listed below are different benefits when organizations and companies give out appreciation certificates to their employees, colleagues, and other members of an organization. Take note of them so that you will know what specific area ideal for in your organization. Lets individuals know that their efforts are acknowledged. 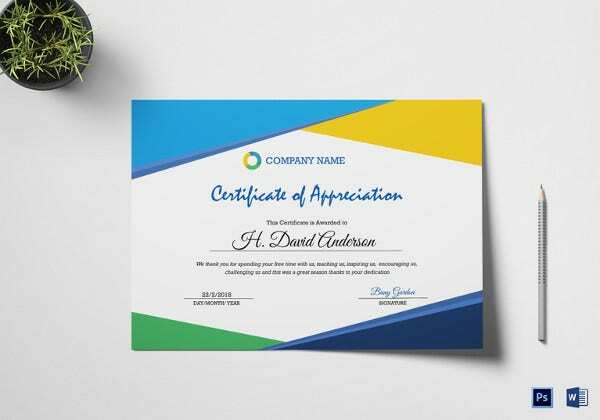 As its name implies, a certificate of appreciation lets a person know that they are being commended for their effort at work, at school, or in whatever field they are in. 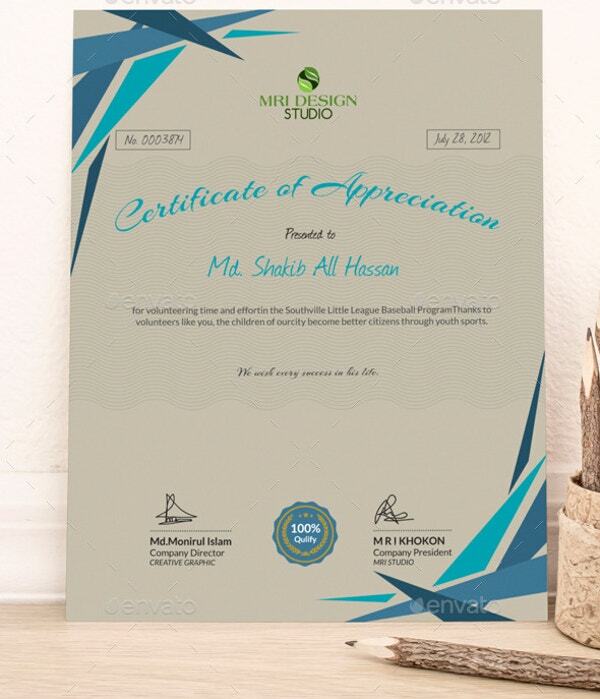 When a certificate of appreciation is given to an event speaker, for example, the certificate is given as a way to express gratitude and as a way to pay tribute to them. In this scenario, an excellence certificate may also be given. Boosts employee morale. 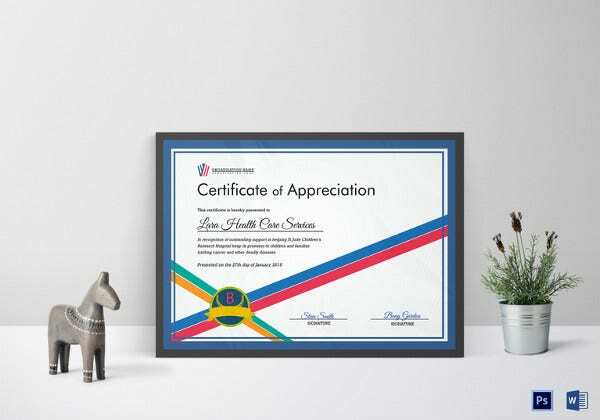 When an employee is given a certificate of appreciation, this helps increase not only the awardee’s morale, but it also helps improve the company’s collective morale. This employee engagement strategy may not always be effective but if done correctly, it will help boost overall employee morale. Lets you determine who are high-performing employees. When deciding who to award a certificate of appreciation to in a company setting, a company (or the Human Resource team behind it) will need to review various employee performance records. 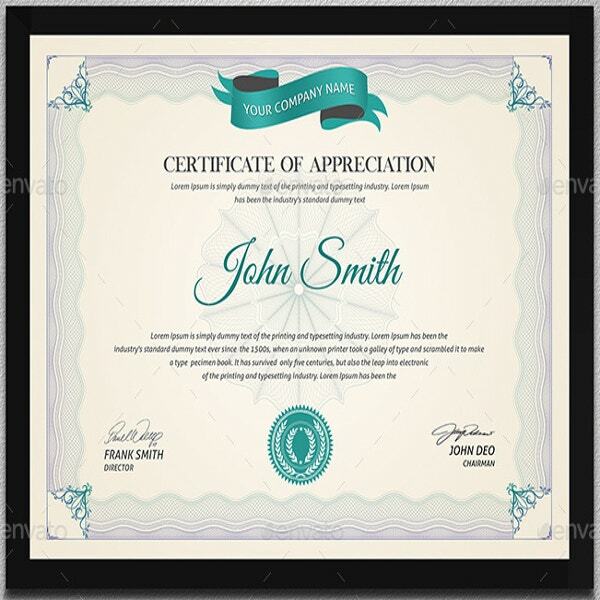 In effect, a certificate of appreciation will also act as an employee recognition award. When an employer knows which employees are high-performing and which ones are not, they will be able to devise different ways to encourage and help them with their respective jobs. Startup companies will find this approach also helpful in improving the company culture. Improves teamwork. Giving away certificates of appreciation is only one way to increase employee engagement. But once it is combined with other strategies, employee teamwork will increase. Teamwork is especially important in any working environment so that they can achieve business goals without feeling burnt out. Allows you to save on costs for event freebies or monetary incentives. It is often not a good idea to use monetary rewards to increase employee productivity. A better alternative to this is by giving away certificates and awards instead. Doing this will allow a company or organization to save money. They can allocate these funds to other more sustainable employee engagement techniques instead. Creating these certificate templates often falls in the hands of the event organizer or any person designated by an event committee leader. 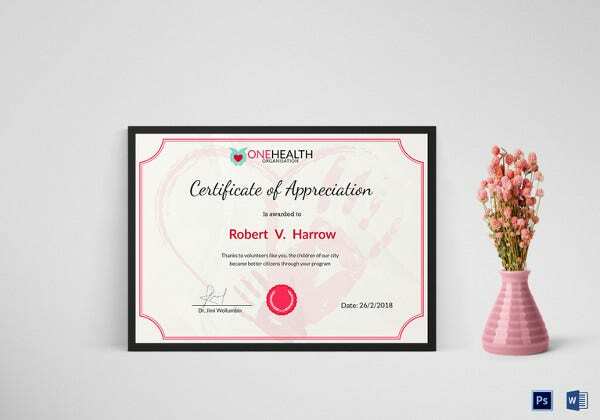 If it is your first time designing a certificate, read on for a step-by-step guide on creating a certificate of appreciation. Use certification templates. For those who have never designed a certificate in their entire lives, you may start using free certificate templates or utilize paid ones. Depending on your allotted budget, you may splurge on a pre-made template and not bat an eyelash. However, if spending money on a certificate template is out of the question, just rely on free templates available online. Aside from using free templates, you may also take the handmade route. 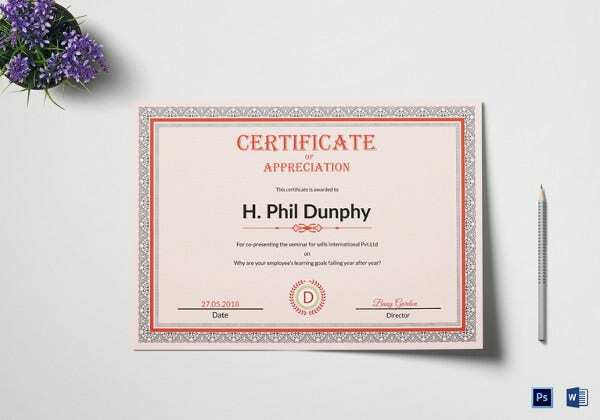 Just like creating handmade card designs, you may also create your own certificates of appreciation by hand. This approach to certificate creation is considered less formal and may suit occasions like Parent’s Day, Teacher’s Day, or Thanksgiving Day. 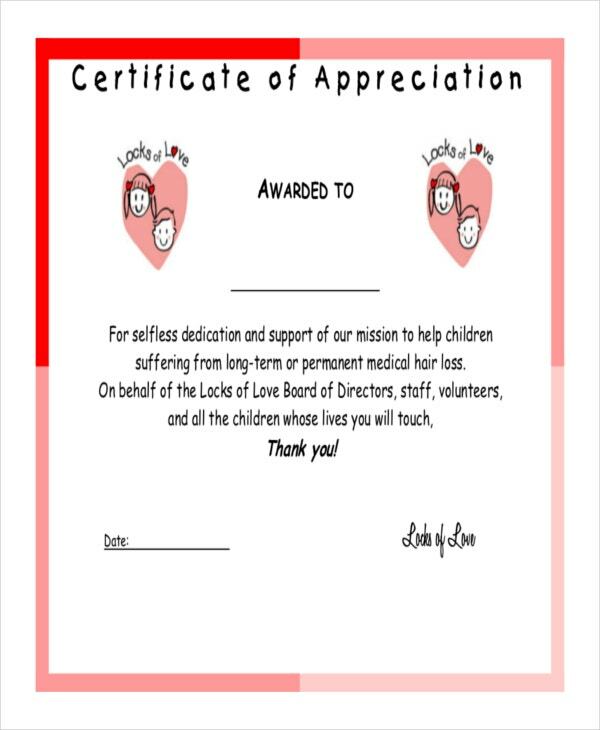 This type of appreciation certificates are created by school kids as part of a project so they may need the help of their parents or siblings during the creation process. 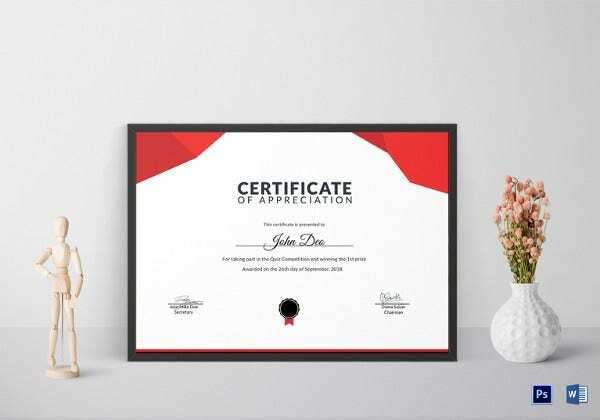 Once you have decided between using a pre-made template or a handmade certificate, you should now gather the different information that you want to include in the certificate. 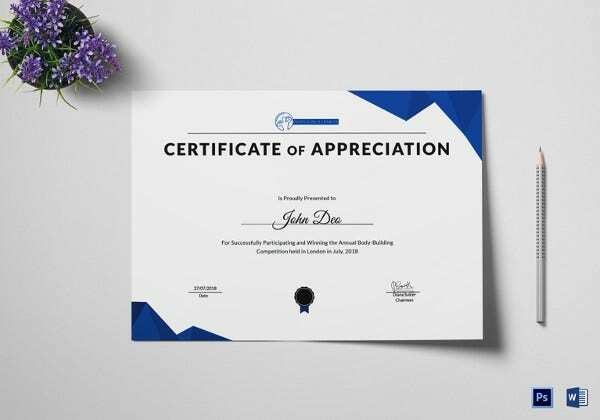 These would be the names, designations, corporate logos, signature files, and the appropriate wording that you want to use for your certificate of appreciation. Now, open up an image editing and compositing software like Adobe Photoshop or InDesign. Some of these programs have built-in certificate templates that you can use. But if you have bought a pre-made template, just open up this file on the software. Most pre-made templates are blank certificate templates. This means that these files will contain all the formatting and layout layers but you will be the one to enter all the personal information that you want to show on the certificate. You may also learn to make a certificate in Word if you are more familiar with this software program. 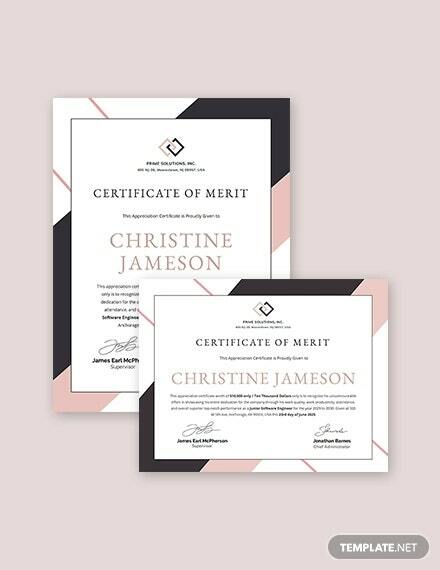 If you have chosen the informal handmade certificate route, you will need to manually design the layout, formatting, and type out all the information needed on the certificate of appreciation. Even if you are creating every design element by hand, you may still need to follow the structure and layout of printed certificate samples. 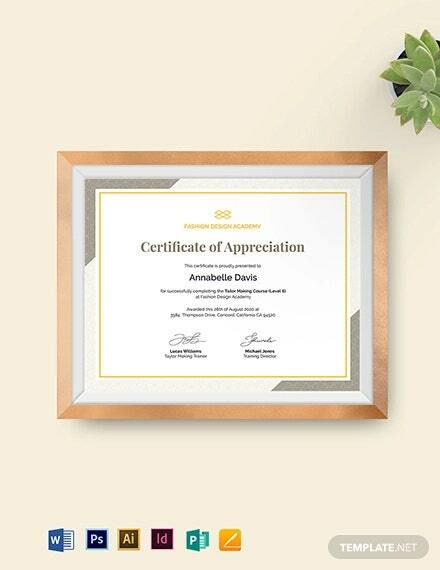 A list of the different information needed for a certificate of appreciation has been listed at the beginning of this article. 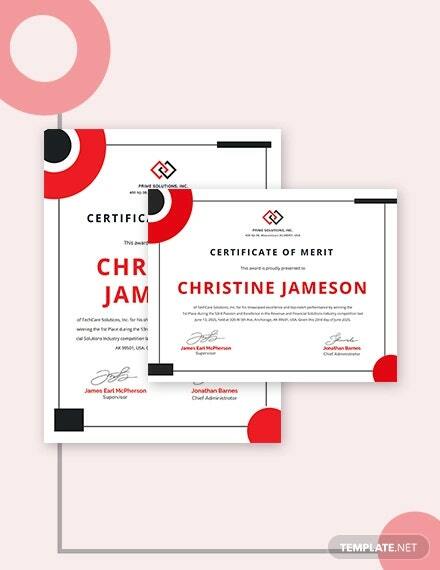 After entering or typing all the personal information for each certificate of appreciation that you need, it is time to check each one for typos, grammar errors, formatting issues, and inaccuracies. You do not want to award a certificate to the wrong person, do you? This proofreading and fact-checking process should be done by another person since a fresh pair of eyes can spot mistakes more easily. Once that is done, it is time to print out your certificate. When printing, make sure to choose high-quality paper. 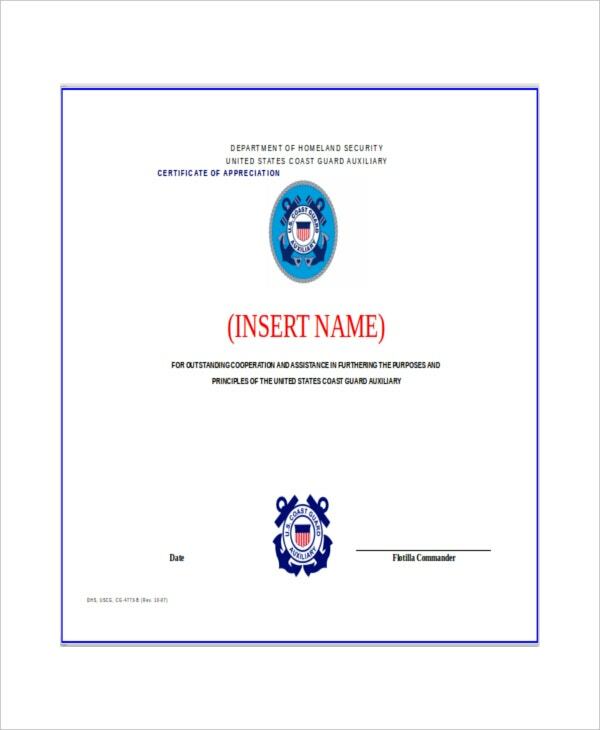 In case you have chosen printable certificate templates, these files will be compatible with most printer settings and are easier to use. 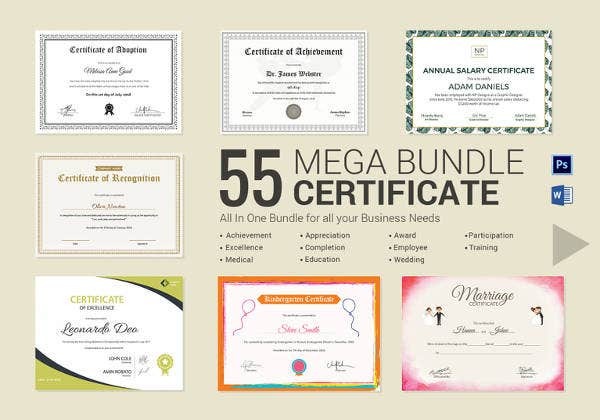 Also, if you are going to print out a lot of these certificates, it may be best to do the printing at a professional print shop or you may also invest in a portable commercial printer. After printing, it is time to have the certificates signed by the event or organization head. 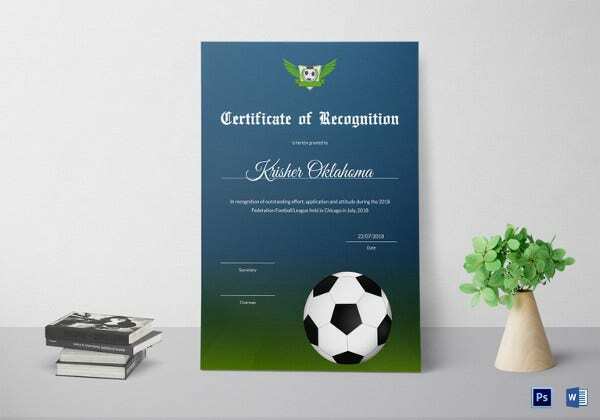 For formal certificates of appreciation, their signatories may include high ranking officials so you should send out these certificates to them ahead of time before the event. This way, all the certificates will be completely signed before the event ends. You now have a completed certificate of appreciation! Congratulate yourself on being able to create one. Always remember that practice makes perfect. In no time, you will be able to learn how to mix and match specific layout formatting, color schemes, and design elements with ease. 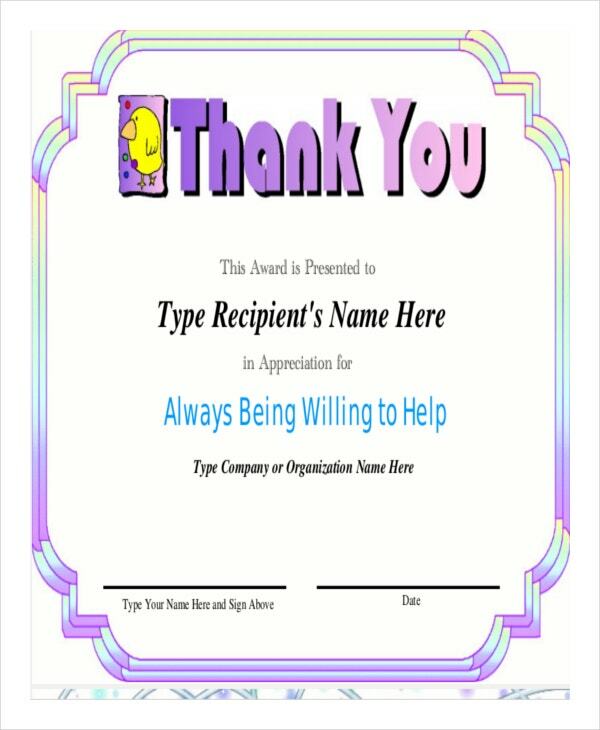 Bonus tip: make sure to save a copy of the certificate of appreciation template in your computer or in the cloud. This way, you may reuse the template for other events. Often, certificates will follow the same format and all you need to do is change the heading. 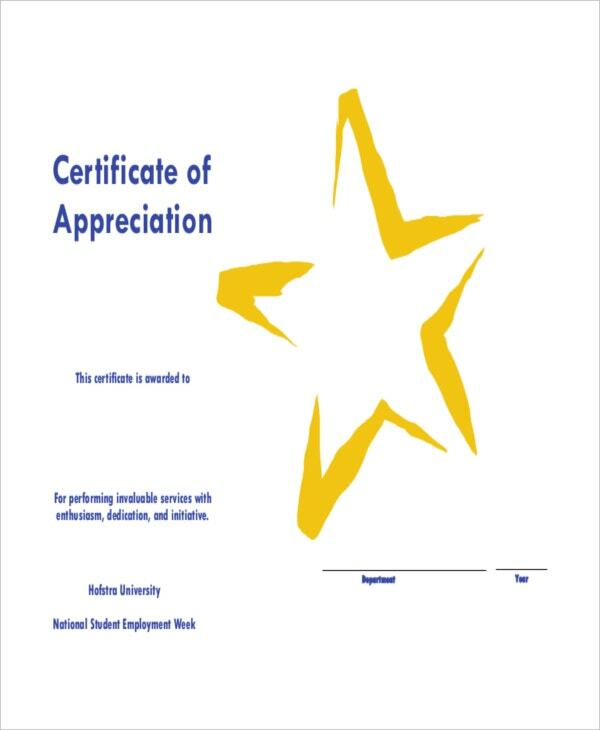 Have you decided on what certificate of appreciation template to use? If not, you may always create your own. It is easy to do that today with the help of word processors and image compositing software programs like Microsoft Word and Adobe Photoshop. Also, do not hesitate to refer back to this guide if you are still grappling with certificate template creation and share this to others who may need it.